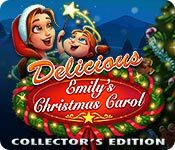 Delicious: Emily's Christmas Carol Collector's Edition is rated 4.2 out of 5 by 33. Rated 5 out of 5 by anniejw1957 from Marvelous I loved this game, but I love all the Delicious games. This was at the top with the rest. Keep it up! Can't wait for more!! Rated 5 out of 5 by marylbowden from A Holiday Twist I absolutely loved this Christmas Musical that the Delicious crew has to take on! If you love the previous games this one is just as great and a tad more jolly. Cannot wait to continue the story. 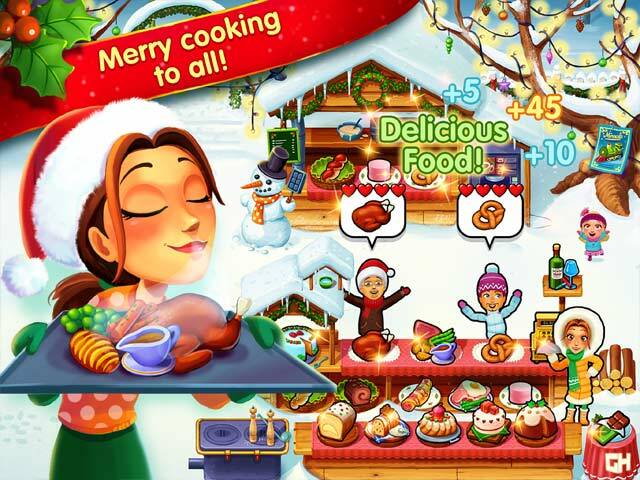 Rated 5 out of 5 by AnLuk from The Best Christmas Game I really enjoyed playing this Christmas game. I have always loved the Delicious games, and their storylines. But this one having the Christmas theme stands out. As always each level is more challenging than the last, making the game even more fun to play. The Santa story with Rudy is adorable. The carolers are also a fun touch. Everyone in my family enjoys playing the Delicious games. Everyone in my family loved this Christmas treasure. Rated 5 out of 5 by lmwillan from Great challenging game I absolutely love the Delicious Emily series and always get excited when there's a new one. What I didn't like about this one was how you can't skip the singing portion at the beginning of each new location. If I wanted to replay the level I had to listen to it all over again. I found this one to be a little more challenging than the others, especially level 25 of the diamond levels. Overall a great game! Would definitely recommend. Rated 5 out of 5 by suziq45 from 92 levels im confused though it says 92 levels but I only played 61 where are the rest of the levels am I missing something? Rated 5 out of 5 by gatadepana from A Very Nice Xmas Story I like the colors, the animation, the different venues. Also that Emily has a new outfit and the different areas are not all about food. Santa's workshop was nice, there were a good variety of characters and it is nice that now when you find the mouse it shows it on the bottom left because sometimes you do forget you already found him. One thing though, I wish when the "Closed" sign comes on that it would be transparent so that you can still see the customer's order. Simple family fun. Rated 5 out of 5 by vl050979 from So excited when I saw this game come up! I absolutely love the Delicious Series and all it's spin offs! They touch the heart. The only issue I found with this game is the patience level to creating certain products ratio is way off. Sometimes you have to click up to 5 things to create one product and by the time you've done so the people at the counter are all ready mad. Rated 5 out of 5 by beltie from Another Homerun!! I have played all the games in the Series, and this one doesn't disappoint. Great replay, fantastic graphics, fun soundtrack, interesting challenges, cute storyline. Not sure why all the comments about Paige being a brat?? There is more conversation centered on her in this one. A little too much, but nothing to ruin the game. You can Skip these for all but the first level of a location. I also read some reviews that said you couldn't choose items in the Store, that they were selected for you. Not true. You may choose as you wish. Haven't reached the end yet, so I don't know if there are fireworks. Hope so. Great job to the Developers!! Please keep 'em coming!! Rated 5 out of 5 by CaptainScarlett from All the Delicious games are fun! And this one is, too! The characters are well known - Emily, Patrick, little Paige and their extended family. They all wear winter-clothes, even Carl the mouse! 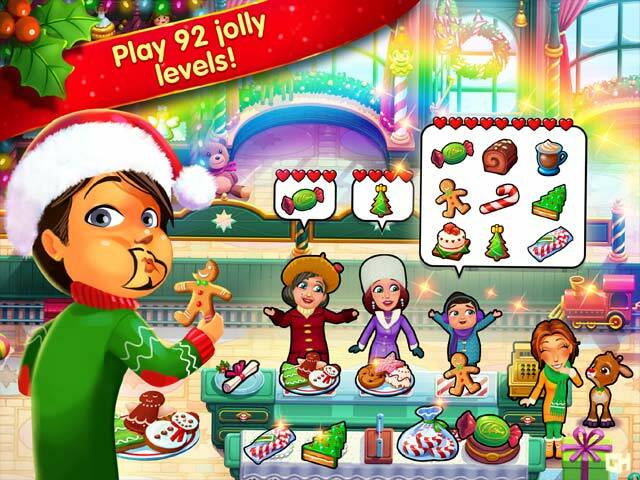 The colors are bright and beautiful, the storyline is sufficiently "Christmassy" and the game is easy to play. Instead of upgrading various items around the restaurant, we get to visit a shop where we can purchase winter-based items to help us achieve the goals. Cute idea! A delight for the holidays, and at 90+ levels definitely worthy of the "collector's edition" title. I wish Big Fish would consider bringing us the early Emily games, I'd love to have them in my collection! Anyway - this here game is well worth buying if you like TM games that are relaxing and fun. Something for the whole family (even though I personally find Patrick's remark about his MIL's "hot flashes" inappropriate). Rated 5 out of 5 by dixiebrat from Emilys christmas Simply love it. This game is soooooooo cool. Paige is so cute. I really enjoyed this game. One of the best Christmas games out there.